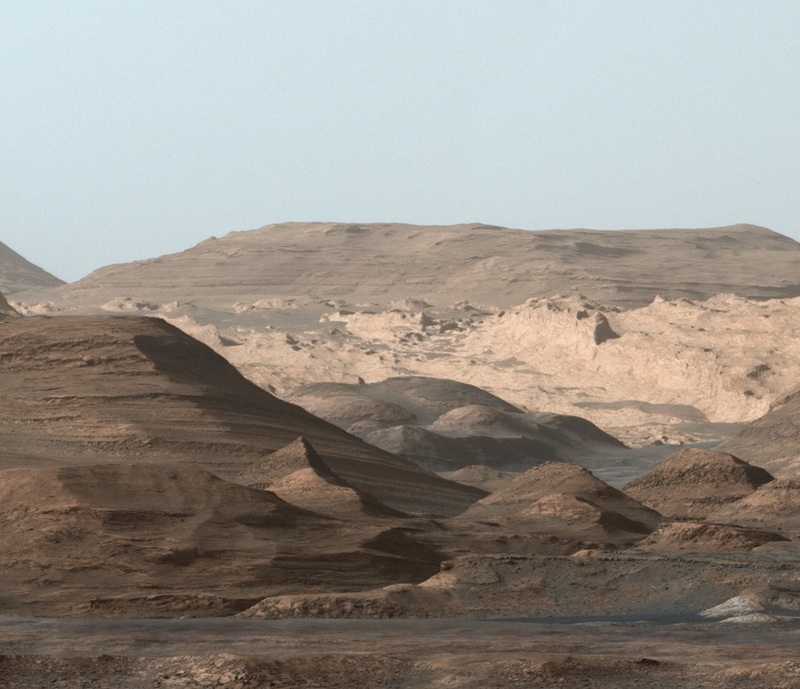 Mastcam is a two-instrument suite mounted on the MSL Remote Sensing Mast (RSM). Two different camera designs will be used, Mastcam-34 and Mastcam-100. 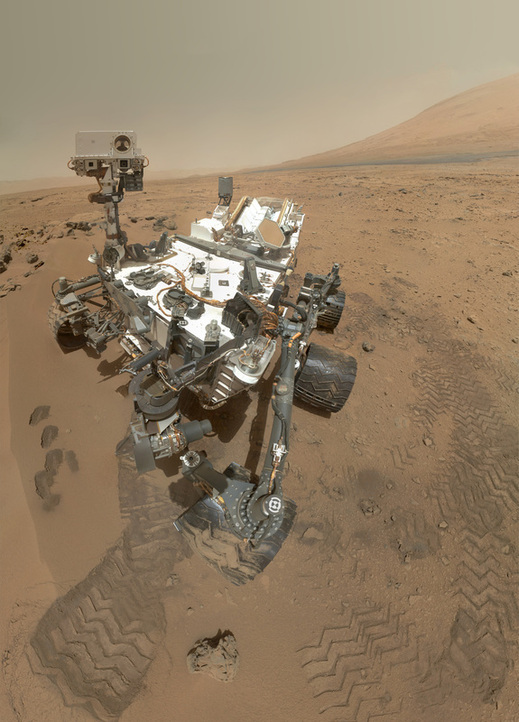 Mastcam-34 has a 34-mm focal length, a f/8 lens illuminating a 15° field of view – 1200×1200 pixels on a 1600×1200 pixel detector. Mastcam-100 has a 100mm focal length, f/10 lens and provides a square field of view of 1200×1200 pixels. Both Mastcams can focus between 2.1m and infinity, 2.1m being the nearest view to the surface from their location 1.97m above the wheels. The M-100 provides a resolution of 150µm per pixel at a 2m distance and 7.4cm per pixel at a distance of 1000m. 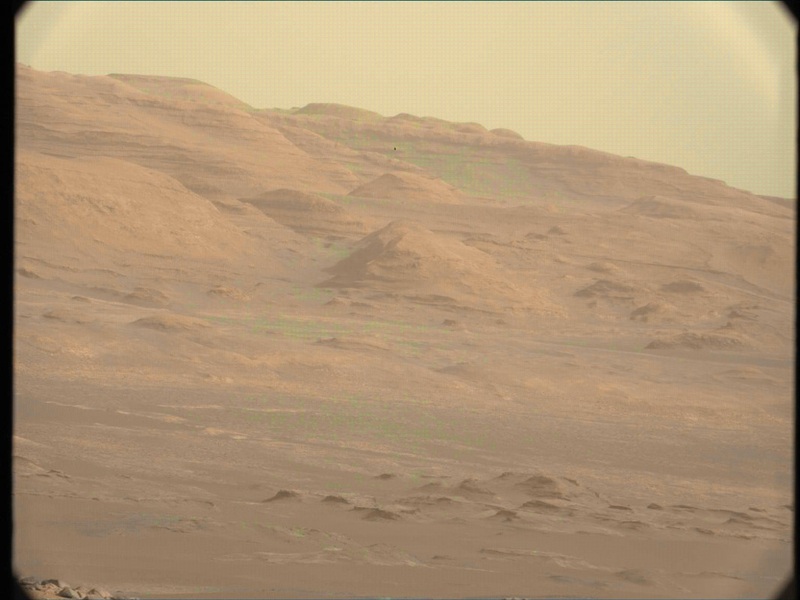 The other Mastcam has a resolution of 450µm/pixel at 2m and 22cm/pixel at 1km. Full range focusing will require 45 to 60 seconds. Each of the cameras has a buffer space of 8 Gigabytes that enables it to store 5,500 raw image frames. The cameras also provide an image compressing capability. JPEG compression is available in real time during acquisition of footage. 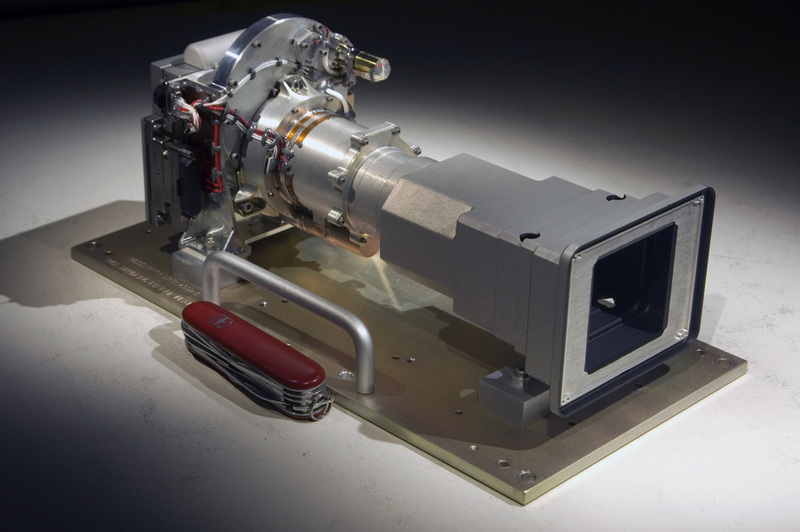 During mission operations however, images will be stored raw and compressed just before being downlinked to Earth. 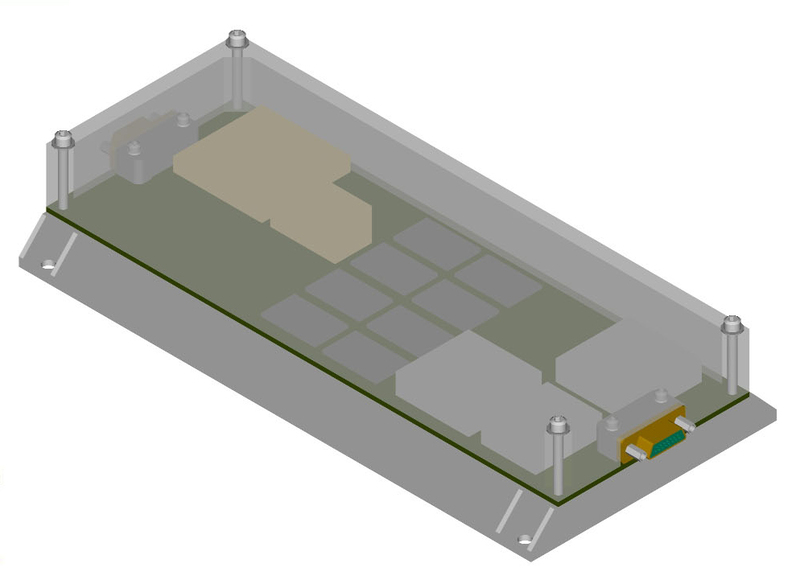 8GB of storage will be sufficient to develop a full scale mosaic (360°x80°) imaged in 3 of the science color filters taking into account a 20% overlap of the individual frames. With real time JPEG compression by a factor of two, images with all science filters could be taken. Thumbnail images can also be created by the cameras. Those would be color images with a 150×150-pixel resolution. Both mastcams provide color images. Each camera is equipped with a filter wheel that houses 8 filters. Integrated over each detector is an RGB Bayer Filter. 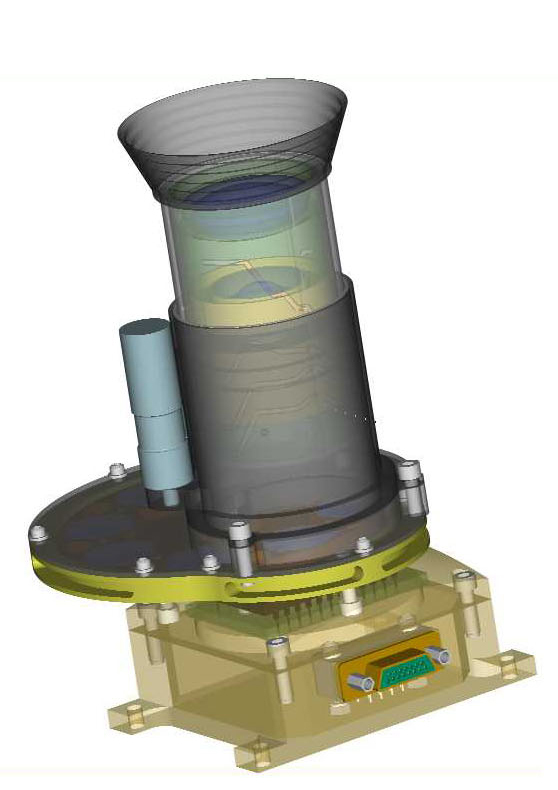 RGB imagery will be taken through a broadband filter which is included in one of the eight filter positions. 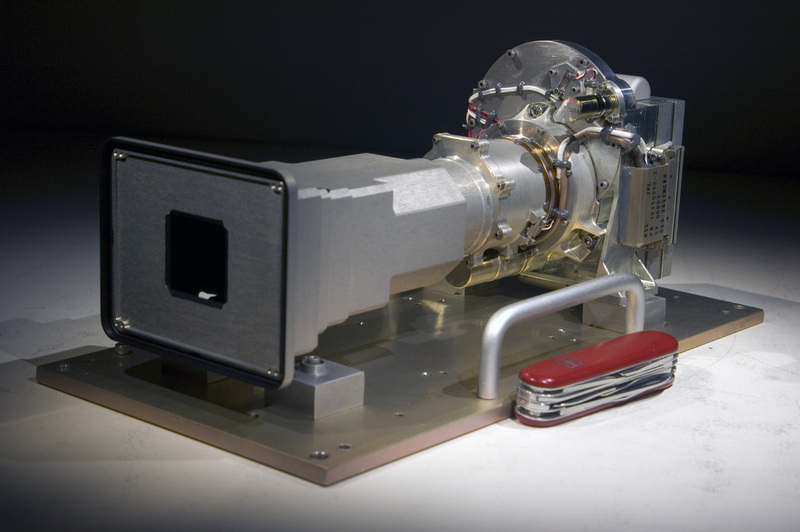 Both cameras also include a narrow band filter for acquisition of sun imagery and atmospheric studies. 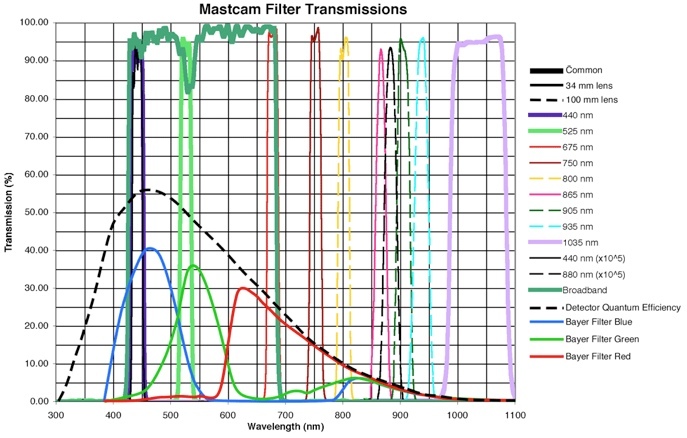 All other filters are distributed between the two cameras to make sure every camera can address some of the science objectives should the other Mastcam fail for some reason. Both Mastcams are capable of producing high definition video (resolution: 1280×720 pixels) at ~10 frames per second. 5 Full science frames can be taken in one second. Filter changes to consecutive positions will take 5 to 8 seconds while a full rotation of the filter wheel requires 30 to 45 seconds. Mosaic frame acquisition speed will be paced by the time it takes the RSM to move into the proper positions and dampen out vibrations. Autofocus and auto-&commanded exposure control are provided by the cameras. Exposure times will vary from tens of milliseconds to several hundred milliseconds depending on the filter configuration and the targeted signal-to-noise-ratio. 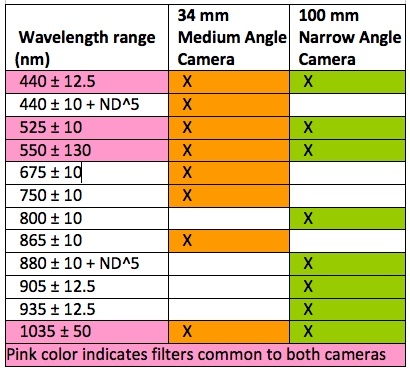 This table illustrates the filters that are installed in each of the cameras. Each camera contains 8 different science filters. Some Filters are installed in both cameras, so that science objectives of the combined system could still be met should one of the MASTCAMs fail for some reason. 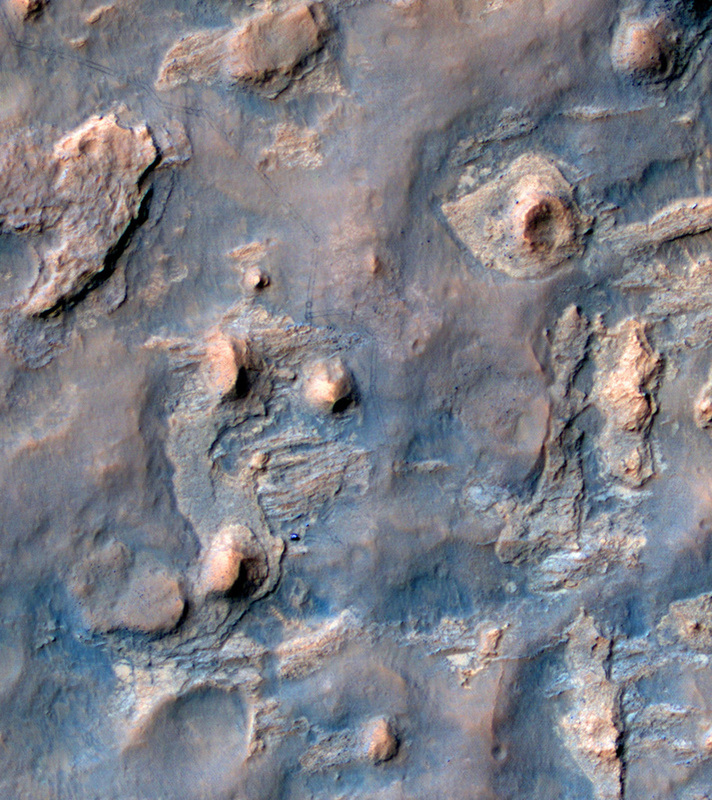 Copyright © 2019 MSL – Mars Science Laboratory. All rights reserved.